"I kind of realised that a lot of fans really do love Eevee"
Pokémon: Let's Go, Pikachu! and Let's Go, Eevee! features Eevee as one of the game's stars. Pikachu's selection needs no explanation - being the face of the series internationally since its inception, but how exactly did Eevee's inclusion come about? So we knew we wanted to do two games when we first set out on the development and I also knew that I wanted to have the Pikachu version as kind of the base, in the original Pikachu Pokémon Yellow version Eevee was actually the Pokémon your rival used, so that was one of the reasons I wanted to have Eevee as kind of the featured Pokémon of the second game. Another big reason of that is that I know, I kind of realised that a lot of fans really do love Eevee as well. Over the years I've received tons of just like fan art and comments on Twitter from fans that just love Eevee. So over the years, I realised just how popular that Eevee had become - you know the furriness and fluffiness of its tail and everything, and just kind of how cute and attractive as a Pokémon it is, so that was the reason I ultimately determined that Eevee would be the second version. Masuda even found out there's an Eevee Day in Japan on 21st November, with the date translating to the Japanese name for Eevee when it is read out. Despite the love for Eevee, when asked which team he supports, Junichi Masuda sided with Pikachu. How about yourself? Which version of Pokémon: Let's Go do you intend to pick up or download on release? Are you more of a fan of Pikachu or Eevee? Take a look at the full video and tell us in the comments below. Well it took him long enough, haha. If I got the game, I'd probably go team Eevee. Depends on what a friend of mine picks. My son wanted Eevee so that's what we went with. Probably will skip this, but I would choose Eevee if I did pick it up. My brother also plans to get Eevee. BREAKING NEWS Eevee is popular. In other news water is necessary to sustain human life. I'm team Pikachu, fiance is Eevee. I simply can't wait to play through Kanto again, this being her first time. ...okay, so super immature and inappropriate comments wishing death on someone for allegedly ruining their favorite children's video game aside, uh, Pikachu is super overrated I guess. Back in the day with my copy of Red I always had an affinity for Eevee. It just always seemed so cool that there was a Pokemon with the potential to be anything. Pikachu has been virtually unchangeable (to the point that his final evolution is practically ignored) I think largely due to his mascot status, while Eevee has been able to embrace change over the years with new evolutions. I think it's fitting that Eevee is getting secondary mascot status. In their own ways Pikachu and Eevee have been constants in the series more so than any other Pokemon, save for Magikarp. I agree with @exopiscea that any possible third version should feature everyone's favorite Karp. Still not sure wich I will get. I'll probably be grabbing Pikachu. My brother went with Pikachu. So I went with Eevee. I've already played pokemon yellow several times anyway, so Eevee is at least kinda new. I will choose Pikachu since i have Pikachu Plushie doll for my Costume day at my School on 25 October 2018. I believe this interview was lost in translation. What he really says is: "We wanted to make two versions so we can milk as much money out of the consumers as possible. We spun a wheel and it just so happened to have landed on Eevee." That's four years of Japanese class in high school, you're welcome. I still feel like Eevee was kind of a left field choice, but hey, some people seem to love it. Seems like a no brainer. I can't think of any other Pokémon with that kind of cuteness that could be featured. Maybe the starters. But then you've got two left out. Only other one is possibly Mew. His explanation makes sense. Eevee makes perfect sense. I mean, what's not to love? I like the fluffiness and cute Onyx, where is my let’s go Onyx! Well it also makes sense considering in Yellow version Gary gets an Eevee while Ash gets Pikachu. I’m happily picking Eevee. I’ve never cared for the electric rat, but who doesn’t love Eevee? Sure is cuter. 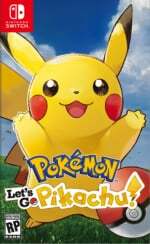 This is probably a stupid question but, are the Pikachu and Eevee compulsory in these games? Or can we switch out the lead Pokemon for something else? Before Pikachu became famous? I hardly believe that unless you played it from the Japanese version otherwise Pikachu has been famous from the beginning. The Anime debuted first in the west before the games. ... This really needed to be explained to people...? @WolfyWardark The version you choose is the Starter you get in Let's Go, and no, they cannot be switched. My living room is decorated with eevees. I may or may not be a eevee fan. I met pikachu and eevee at egx this year. Eevee is mental and crazy. Kind of like how luigi is a Don who doesn't give af because mario gets all the attention. So yeah, eevee for me too. Glad to see they are finally giving credit to their best Pokemon Eevee has always been my favorite and I feel Pikachu is overrated. I mean, Eevee can evolve into several different types whereas Pikachu is strictly an electric type Pokemon. And Eevee is so fluffy!!! We're Team Eevee in our house. I would buy Let's Go Magikarp in an instant. I'd totally buy Pokemon let's go Jigglypuff! She's more popular in general I think. Later, i will change my avatar with my Ash costume after Costume Day at my school. Eevee was simply the most logical choice for a remake of Pokemon Yellow. Being the only other starter in that game and all. I'm going with the yellow lightning rat. If I were to get one of them it would be Eevee since I like it MUCH more than Pikachu, but I'm not getting the game. I assumed it was due to Eevee's resemblance to King Ceasar. No, it's because they wanted some gimmick to justify selling two versions. Pikachu is the iconic starter of Yellow version, and in that same game, the rival's starter is Eevee. I forgot why I even "cared" about Eevee since way back when-- That's right, my rival had him in Pokemon Yellow, and I just remember saying to myself how it was cool Eevee could evolve into a type I chose rather than a predetermined type like all others including Pikachu. 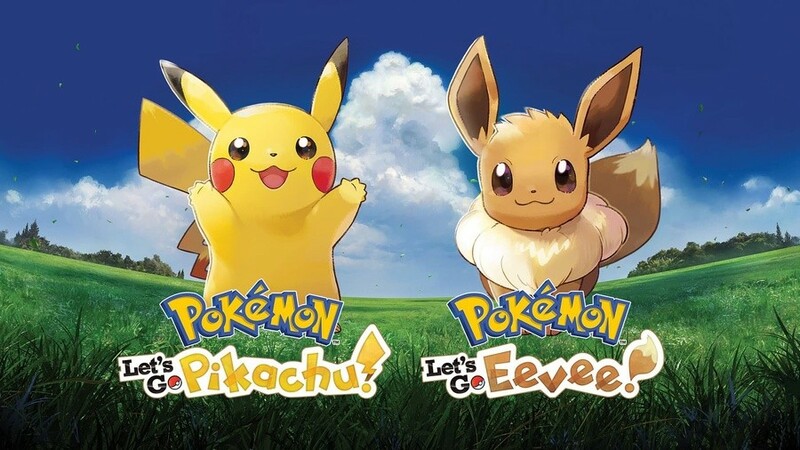 I really doubt I have the time, desire, and energy to put in work for the Let's Go games, but if I magically find it, then I will be going with the Eevee version no doubt. I always thought there was some good reason we weren't getting and open world pokemon game, like 'it's in the works' or 'it's taking forever ' but no. It's simply not in this guys creative vision because.. Ai is too hard? Is that what I understood from that interview.. how unfortunate. Bring is something we've been asking for 10 years for and get another breath of the wild size massive release instead of more mini pokemon games that will be soon forgotten. Just my opinion. My son and I are getting Pikachu to play together has his first console game (Pokemon and in general) it shall be quite the experience. Preordered physical copy of Pikachu but we'll get Eevee afterward or soon after. Clefairy, Jigglypuff (which would have tied in nicely with Smash), Magikarp, Meowth, or Mew would have been infinitely better choices. Without its ability to evolve, Eevee loses most of its appeal, whereas the Pokémon I have just mentioned are very popular, irrespective of their evolved forms. I wish they had issued a third version with a left-field mascot choice (especially Magikarp or Slowpoke) just for a laugh. An eevee that cant evolve kind of loses it for me. @Trajan yeah "Gary" is always your rival. you can name him as you want i think. In HG/SS, Blue sister is Daisy Oak, the surname Oak, means granddaughter of Prof. Oak. My son is obsessed with Pikachu, so we're getting that version. Eevee's evolution gimmick is what fuels the popularity and then they give you one you can't evolve as your partner. Aye. T'was my favorite pokémon back then at age 15, and it is my nephew's favorite now at age 7. @dimi So they retroactively tried to make the story make sense in the context of the other games like they try with Zelda?